If you’re reading this, I probably don’t need to tell you that variable speed pool pumps are the way forward. 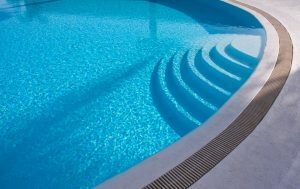 Variable speed is the answer to a well-maintained pool WITHOUT having to deal with absurd energy consumption costs. 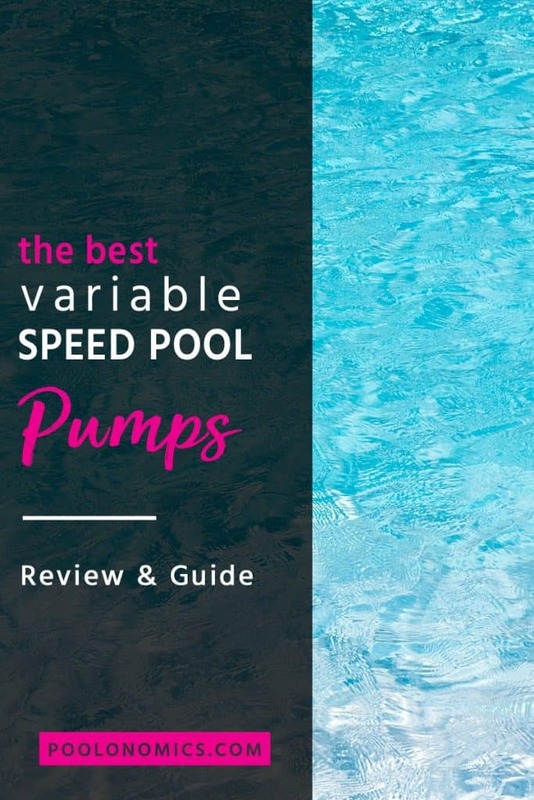 In this article, I’ll break down and review the best variable speed pool pumps on the market, as well as everything you need to know before pulling the trigger on a purchase. 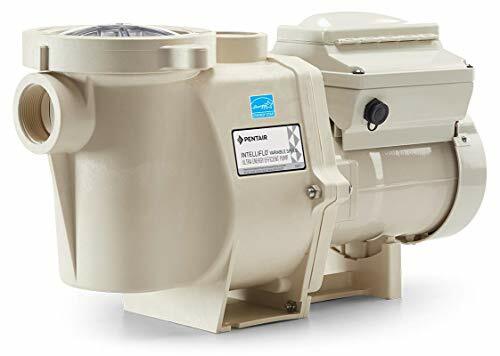 The following variable speed pool pumps have been chosen for comparison since they’re regarded as the most popular options among pool owners today. Why Should You Buy A Variable Speed Pool Pump? There are a number of reasons to get yourself a variable speed pool pump, and if you’re reading this buyer’s guide, you’re no doubt aware of at least some them. Better ROI in the long-term: Despite a higher upfront investment for a variable speed pool pump, you’ll make 2, or even 3 times the difference back in energy savings over the lifespan of your pump. Less noise output: Given how variable speed pumps work, they inherently run much cooler and quieter than traditional pumps. After all, who want’s to soak to the sound of a screeching motor? Digital control: Variable speed pool pumps are digitally controlled, allowing you to choose between several pre-programmed speeds and timers, as well as the option to program your own. Inbuilt diagnostics: Traditional pumps will continue to run until something causes them to fail, whereas VS pool pumps come with advanced diagnostics to alert you of any problems (i.e. overheating) before they become critical. The durability of a Nokia 3210: While these pumps will cost around 3x as much to buy, they also last around 3x longer than traditional pumps (15+ years) thanks to significantly higher build quality, reduced friction and increased efficiency. Note — The only time a single or dual-speed pump could be a better option, is if you plan to sell your home in the next year or so. In that case, you probably won’t own it long enough to see a worthwhile return on investment (if any). 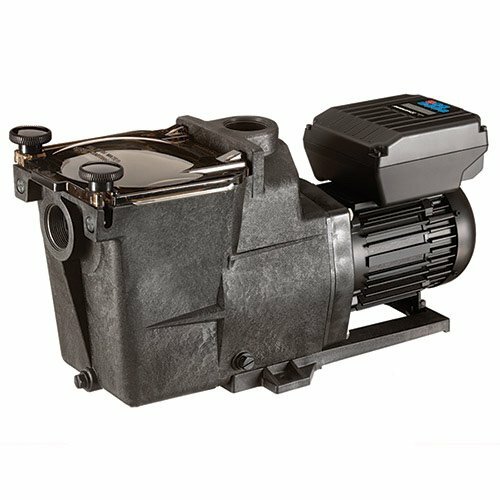 When looking at the different types of variable speed pool pumps available, it can often be hard to see the wood from the trees, especially if you’re a new pool owner. 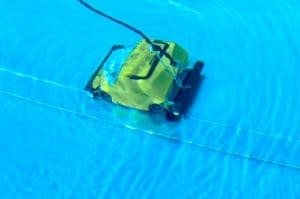 As with most things, there’s really no one-size-fits-all solution, which is why it’s important to follow the steps I’m about to give you in order to properly size the VS pool pump for your pool. 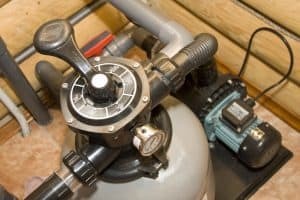 A quick note: In order to pay for themselves, variable speed pool pumps need to be set up correctly and many pool owners are simply not setting them up correctly. Because of that, power companies and customers are not necessarily saving money, but spending more of it due to increased electricity costs. It’s also worth pointing out that in some cases, these pumps do not last as long as advertised even if they do surpass their warranty period, so it’s even more important to make sure the setup procedure is carried out correctly. First Thing’s First, Let’s Cut The BS! As you know, the principle behind any pool pump is to circulate water, passing it through your filter and simultaneously cleaning your pool of debris that naturally accumulates. No prizes for that one. Of course, there’s a bit more to buying the right pool pump for your pool, and you’ll need to get your head around some of the technical stuff before you can actually make a buying decision. You won’t get any jargon here. 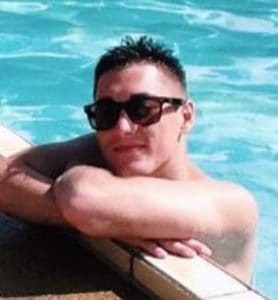 I understand that not everyone who owns a swimming pool happens to be an expert on pool equipment, so unlike other pool pump buying guides, I’ll put this in terms a regular human can understand. When most people start out looking to buy a variable speed pool pump, they often assume the highest horsepower (HP) pump is the best. Did You Know — Variable speed pool pumps tend to come in sizes of: 1 HP, 1.5 HP, 2 HP, and 3 HP. In fact, going for a pool pump that’s too powerful can actually result in lower efficiency and increased running costs, defeating the purpose of using a variable speed pump in the first place. If that wasn’t enough, you also increase the chance of cavitation – basically just a fancy word for bubble formation – which can and likely will send your pump to an early grave. Instead of trying to match your pump to the pool, it’s better to work backwards and match the pool to the pump. Note — Your ‘minimum flow rate’ will tell you how hard your pump needs to work in order to keep your pool water circulating at the desired turnover rate, while expending the least possible amount of energy to do so. The first value you need is your pools minimum flow rate. In order to get that, you’ll need to know your desired turnover rate, or how long (in hours) it takes for the pool pump to complete a full cycle of ALL the water in your pool. Most would agree the sweet spot stands at around 8 hours, and that’s what I recommend using as a baseline for your calculations. First, you’ll need to calculate your pools total capacity, or how many gallons of water it holds. This will of course depend on the size, depth and shape of your pool. I could list off some formulas to use, but why bother when you can use this awesome calculator instead? Easy peasy. Once you’ve got your capacity, you’ll need to calculate your minimum flow rate, or how many gallons you’ll need to process per minute (GPM) in order to meet your desired turnover. Just divide your pools total capacity by 480 (the number of minutes in 8 hours) to get the gallons per minute (GPM) value. Don’t worry, I’ll spare you a lesson on plumbing… for the most part. What’s important to understand here is that your variable speed pool pump should be compatible with the diameter of your pipes. The size of the piping that runs to and from your swimming pool determines the maximum flow rate, meaning how many gallons can flow through your system in a given minute (GPM). Earlier, I spoke about ‘maximum flow rate’ in regards to how much water can flow through your plumbing system. Max flow rating refers to the maximum gallons per minute your pool filter can handle before it becomes compromised. Fortunately, there isn’t much work to do here other than look at the information on your actual filter to see what the recommended max flow rating is. It’s crucial to know this since your pump should never run at a higher flow rate than your filters maximum. At this point, you should have all the necessary information needed to select an appropriate variable speed pool pump for your setup. You’ll an example below of this process in action. Example — Let’s say I have a circular pool that’s 20 feet in diameter and 5 feet deep. Using the volume calculator I mentioned earlier, I find that my pools capacity is 11,750 gallons. Going with the commonly recommended turnover rate of 8 hours, I now need to divide my capacity by 480, giving me a value of 24 GPM — or the minimum flow rate necessary to cycle the entire contents of my swimming pool in 8 hours. Next, I need to find out my pool’s maximum flow rate, which is determined by the diameter of the pool’s plumbing system. Let’s assume I have 1.5” piping which, based on the chart I shared earlier, that puts my maximum flow rate at ___ GPM. Finally, I need to check my pool filters ‘max flow rating’ by either physically looking at the label, or checking the manufacturer’s website. In this case, let’s assume my filter is limited to ___ GPM, which means I can safely utilize the maximum possible flow rate if needed. As you can see, once you know your measurements it’s just a case of applying some basic math to get the information you need. Knowing how to pair a variable speed pool pump with your setup is one thing, but that doesn’t tell you everything you need to know. In this section, we’re going to look at the core factors you should use to select the right pump for your pool setup. While the process above can help you find several pumps that meet your desired “specifications”, that doesn’t necessarily make them equal in performance. In fact, they almost certainly won’t be. Efficiency: The whole idea of using a variable speed pool pump over a traditional pump is to save money. The more efficient a pump is – or how cheaply it can meet your desired turnover rate – the higher your return on investment is over time. Durability: As with any large purchase, you want to know that what you’re getting isn’t going to pack up on you any time soon, and while most VS pool pumps will last many (many) years, it is possible to get caught just outside of your warranty period. Now that we’ve covered what to look for in a variable speed pump, you’ll be able to use the comparisons below to make a more informed decision about which makes sense for you and your needs. The Pentair IntelliFlo variable speed pool pump is both an affordable and popular choice for larger residential pools, with many owners reporting a significant drop in energy consumption after switching. Not only is this one easy on your bank balance, but the pumps high build-quality and fan-cooled motor reduces the chance of overheating, as well as being around 400% quieter than traditional pumps. This pump comes in at 3 horsepower, 230 volts and allows for a maximum flow rate of 145 GPM with 2” and 2.5” connection ports. Undoubtedly one of the most respectable VS pumps on the market. 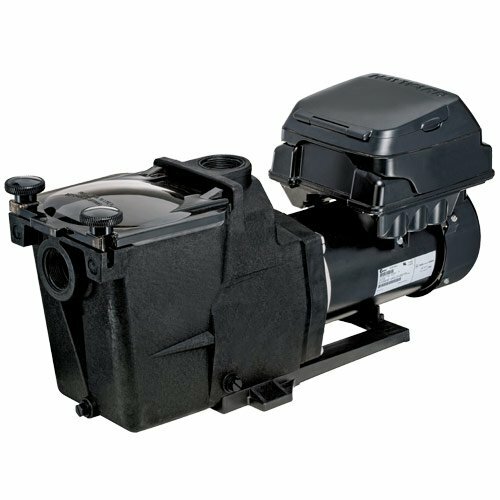 The Pentair 342001 SuperFlo variable speed pool pump is an entry-level pump suitable for smaller pools, despite packing more of a punch than other pumps in the same category. Unlike other variable speed pumps, the Pentair SuperFlo can run on a lower voltage if necessary, while taking a modest hit on performance and maximum flow rate. 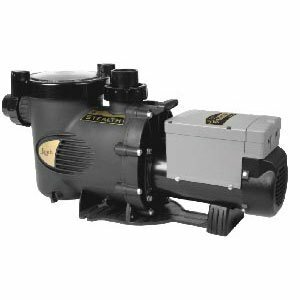 This pump comes in at 1.5 horsepower, 110 to 230 volts and allows for a maximum flow rate of 103 to 113 GPM with a 1.5”connection ports. 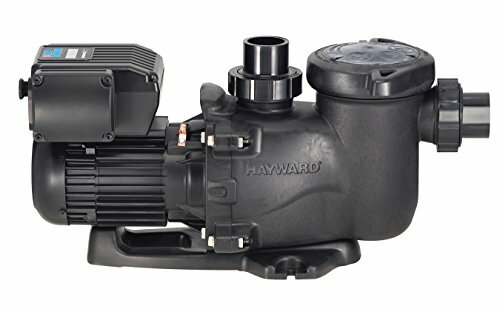 The Hayward SP2302VSP Max-Flo variable speed pool pump is another entry-level pump suitable for smaller pools, and is considered one of the most energy-efficient pool pumps on the market. Thanks to an upgrade from the last model in this series, the Hayward Max-Flo now features a rotating screen display alongside a built-in time clock, allowing you to apply more advanced timing and speed settings. This pump comes in at 1.5 horsepower, 230 volts and allows for a maximum flow rate of 106 GPM with 1.5” and 2” connection ports. 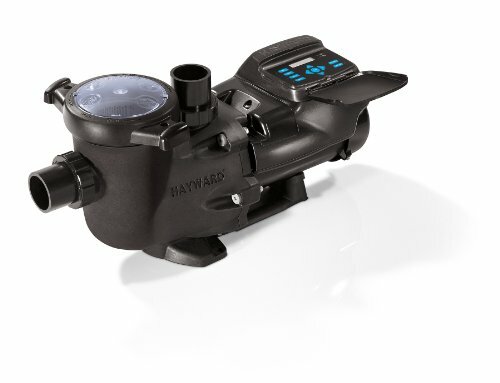 The Hayward SP2602VSP Super Pump is another variable speed pump suitable for smaller pools, and is considered one of the most energy-efficient pool pumps on the market. This pump comes in at 1.5 horsepower, 230 volts and allows for a maximum flow rate of 87 GPM with 1” and 1.5” connection unions. 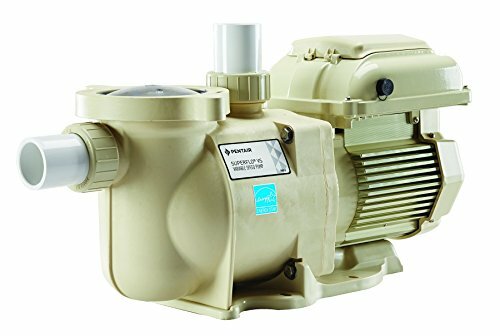 The Hayward EcoStar variable speed pool pump is yet another popular alternative, this time suitable for mid-to-large sized pools. While there have been some reports of system failures and the dreaded “stalled pump” warning, many have nothing but praise to say for the performance of the EcoStar, especially given the competitive price point. This pump comes in at 2 horsepower, 230 volts and allows for a maximum flow rate of 160 GPM with 2” and 2.5” connection ports. 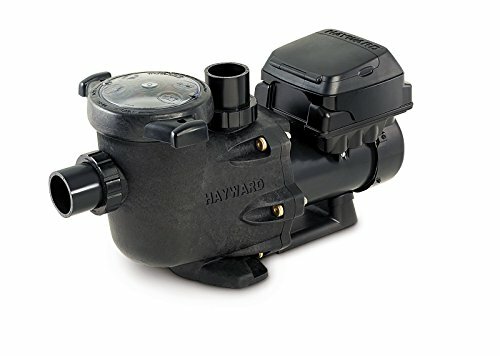 The Hayward TriStar variable speed pool pump is a very flexible pump suitable for medium and large sized pools, and can also work well on a smaller plumbing system if necessary. This pump comes in at 1.85 horsepower, 230 volts and allows for a maximum flow rate of 160 GPM with 2” and 2.5” connection unions. This particular model is an upgrade to the Tristar SP3200VSP, which offers a slightly lower maximum flow rate than its successor. The Jandy JEP 1-1.5HP ePump variable speed pool pump is suitable for medium to large sized pools. This pump comes in at 1 – 1.5 horsepower, 230 volts and allows for a maximum flow rate of 143 GPM with 2” and 2.5” connection unions. The Jandy JEP 2HP ePump variable speed pool pump, like it’s weaker little brother, is suitable for medium to large sized pools. This pump comes in at 2 horsepower, 230 volts and allows for a maximum flow rate of 143 GPM with 2” and 2.5” connection unions. Look, I’d love to be able to recommend a variable speed pool pump for any pool and any setup, but as you’ve no doubt realized by now, it just doesn’t work that way. However, while I can’t account for every possible scenario, I can offer my general recommendation based on each pump’s overall efficiency, flexibility and durability. On that basis, the winner (for me, at least) would have to be the Pentair SuperFlo (model 342001). Not only can this pump run effectively at both 115v and 230v – meaning this will survive an electrical supply upgrade if starting on a lower voltage – but it can also move a lot of water when needed, while remaining one of the more energy-efficient options. 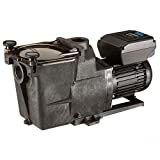 For these reason, I find it to be the best overall variable speed pool pump out of this lineup, although certainly not suitable for larger pools. This is why it’s still important to run the numbers and make sure this, or any other pool potential pool pump is compatible with your setup before taking any personal recommendations.